Just experimented with the hair colour, or planning to? So you must know that L'Oreal Professionnel Paris has a range specially designed to #KeepThePerfectColor. 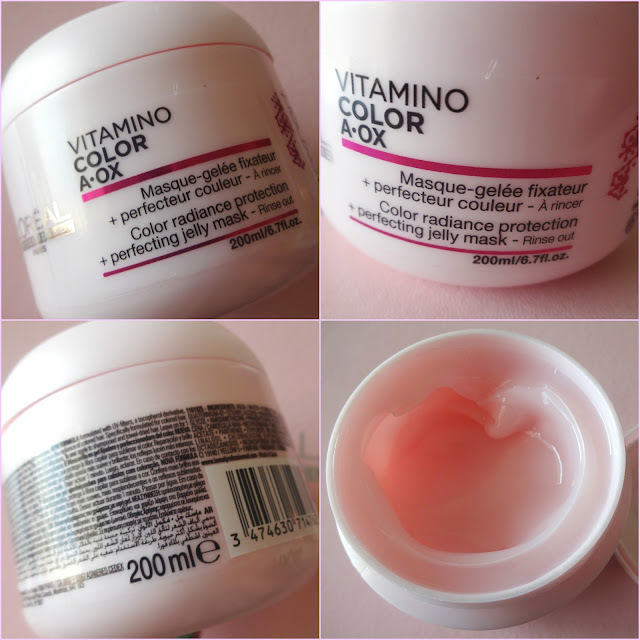 Wanna know how Vitamino Color A.OX works? USE: Apply evenly to wet hair. Lather and Rinse. In case of contact with eyes, rinse them immediately. USE: Apply to shampooed and damp towel-dried hair. Leave on for 1 minute. Rinse thoroughly. In case of contact with eyes rinse them immediately. 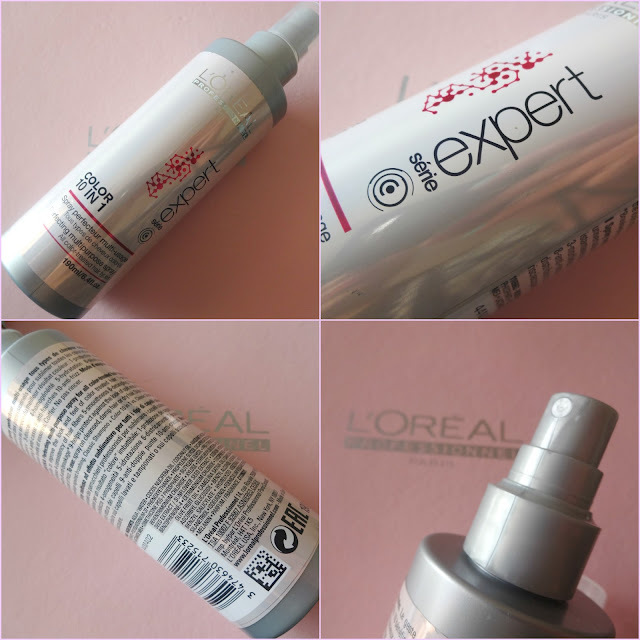 Perfecting multi-purpose spray for all colour-treated hair types. 10 instant benefits to improve the look and feel of colour treated hair. Before colouration for detangling and to act as a cutting lotion. After the colour for colour protection and conditioning. Before blow-drying to protect against breakage and the appearance of split-ends and frizz. Also as a refresher to leave hair feeling soft and looking shiny with a smoothing effect. Enriched with fennel seed extract, xylose and a natrually derived oil blend. USE: Spray on cleansed, towel-dried or dry hair. Style, do not rinse. I usually dye my hair, single shade these days. 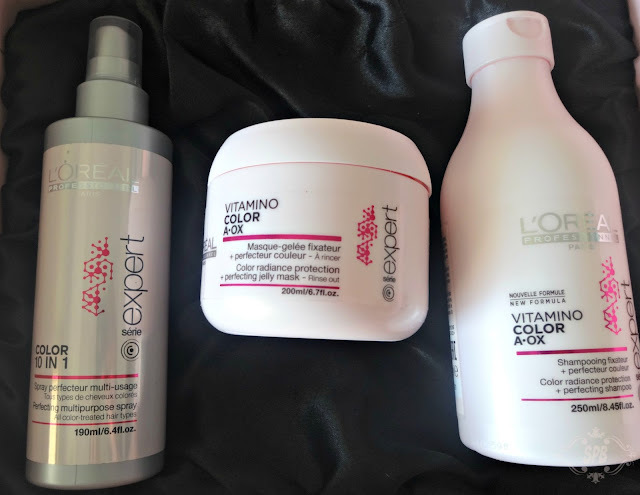 After every time I colour my hair, my concern is about post colour care, well L'Oreal Paris Vitamino Color A.OX range is here to ease my worries. I tried 3 products from the range I must say I am satisfied with the performance. 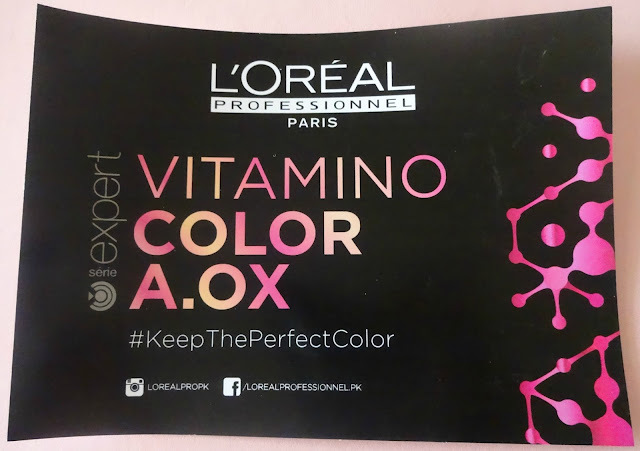 L'Oreal Paris Vitamino Color A.OX Color Protecting Shampoo, is very mild and gentle for the hair. It is not like any of those SLS one foaming and lathering shampoos, as color treated hair need gentle shampoos which do not effect the colour/tint. It has a sweet berry fragrance in it which is not bothersome. As these days I am having oily scalp, due to weather changes, I require a little more than my regular usage to clean my scalp. It is not moisturizing as my hair feel a bit dry, not harsh, but the clean feel is there, without any compromise on my hair colour. Yes its been 3 weeks and my Hair colour is almost same as it was after first wash. Only thing irks me is the dryness of my hair, may be its the cold weather. 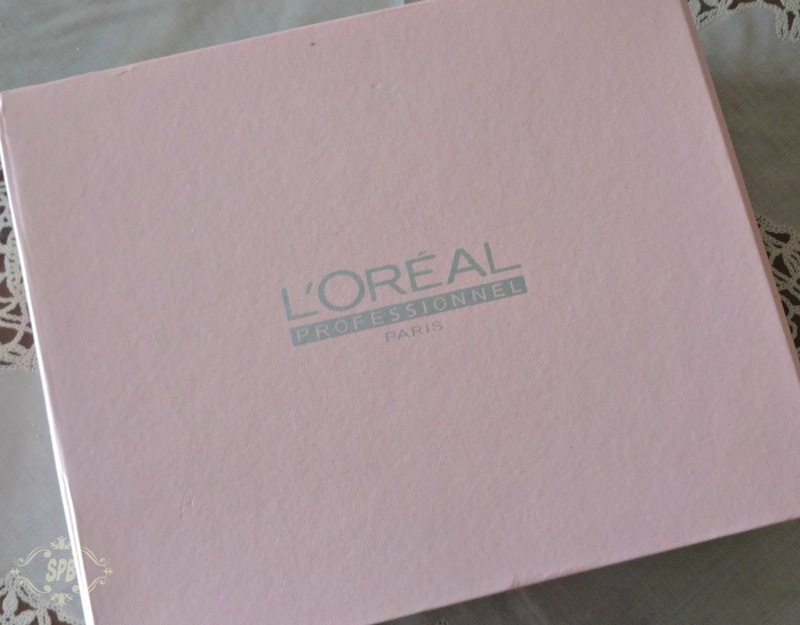 L'Oreal Paris Vitamino Color A.OX Color Protecting Masque, this hair masque is heavenly, its in gel formulation. and smells divine, like berries and flowers. I apply it after wash, inch away from my scalp, leave in for few minutes and wash out. The effect is smooth and it assist in prolonging the life and shine of the hair colour. This is my favourite most in this range. 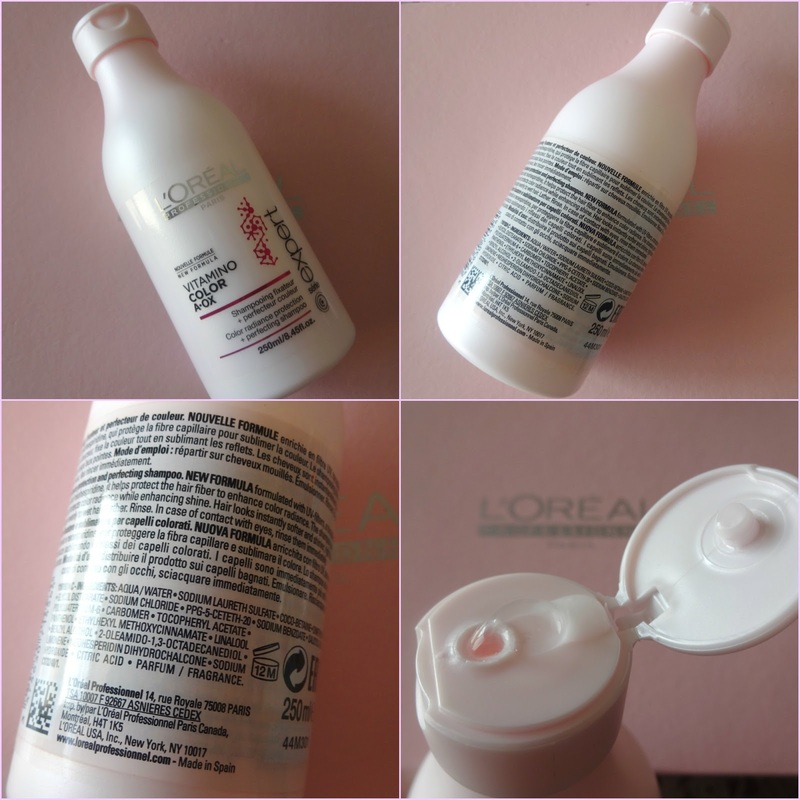 L'Oreal Paris Vitamino Color A.OX Color 10 in 1, this leave in hair spay promises a lot, from colour protection to frizz free hair, and delivers too. I spray it on my dry/damp hair before combing or even blow-drying. It makes my hair smell good, sweet berries to be precise. Makes my hair feel soft and frizz free and I can feel every strand of my hair separate and well managed. It may have some styling ingredient as it makes hair a bit stiff and stay in the place they are styled. Available nationwide and online on Daraz.pk. Follow #SPBlovesLOrealParis on Instagram, Facebook and Twitter. I love to color my hairs and i think i will give this range a try. Nice review. I love the excellence creme. Havent tried this one yet.